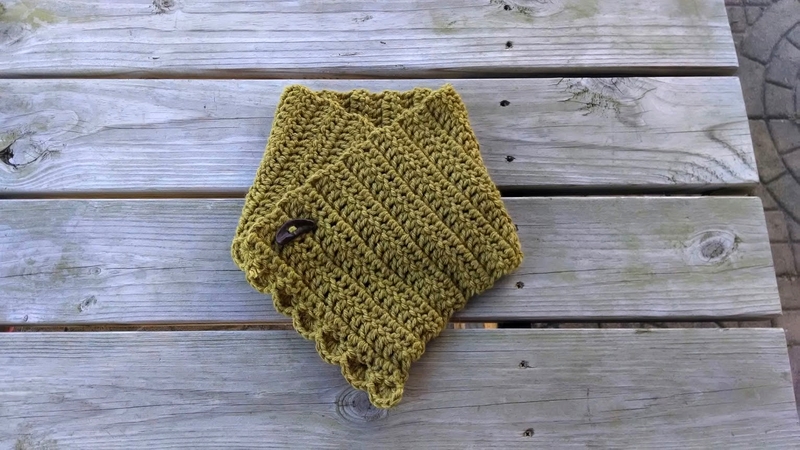 The Lemon Balm Button Cowl is a pretty and easy to crochet neck wrap. 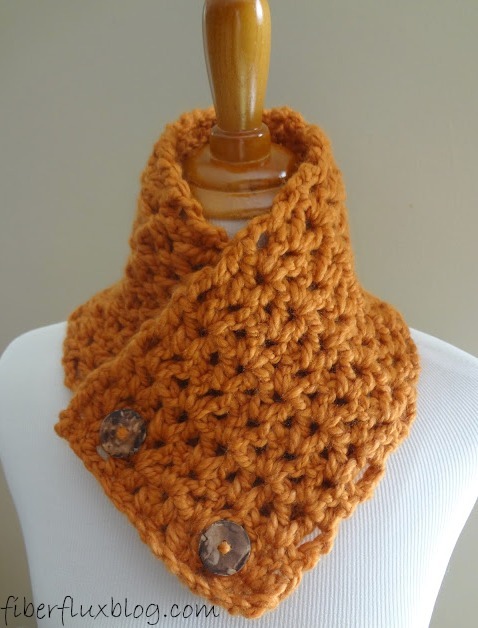 Its simple construction of double crochet stitches is finished off with a scalloped edge. A special single button is all you need to keep it together. Foundation Row: In second ch from hook, work a sc, then one sc in each ch across to end of row. Row 1: Ch 3 and turn. Work 1 dc in the first st, then in each st across to end of row. Repeat row 1 until piece measure approximately 37 inches (length prior to adding scallop edge), do not fasten off. Ch 3 and turn. Work 4 dc in the first st, sl st into the next st, skip the next st. *In the next st, work 5 dc, next st work a sl st, skip the next st. Continue in this manner from * to end of row, last st being 5 dc. In the last st (same st as 5 dc were worked in, work a sl st to finish off the scallop and the row. Very pretty :-) I love the scallops on the end. Thanks for the pattern. 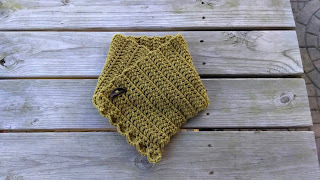 You think you could possibly do a video for the Lemon Balm Button neck warmer? I would really appreciate it! Videos help me so much and yours are AWESOME!!!! I just finished this and love it, the scalloping in particular really makes this stand out. Am going to make complementary ones for my sister-in-law and mother-in-law for Christmas. Thanks!! Not to sound dumb, but how do you know where to put the button? Great question! I attached mine by wrapping it around my neck and seeing where I wanted it to close for a custom fit. It ended up being in the bottom left corner (where the starting chain is), but then a couple of inches up to get it snug around the neck. The last large of image of this post shows the location of the button when the cowl is open/unbuttoned. Hope that helps! Hi, I came across your pattern and I love it. 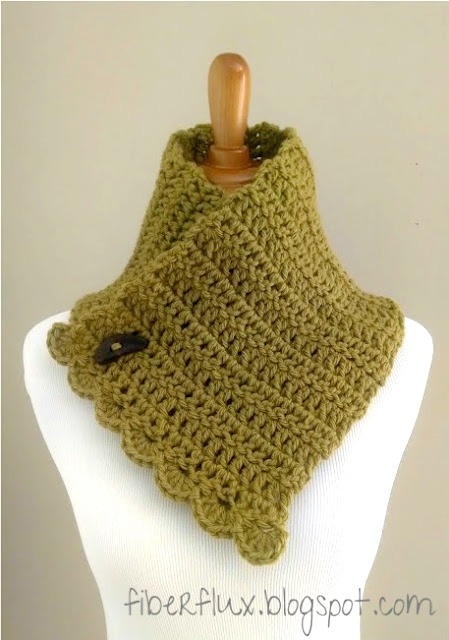 Can I use Caron One pound or red heart for this pattern? DO you think it will come out ok?